Hi! Today's card was made using the inspiration photo from Inspired By All The Little Things and I'm also playing along with the Make Your Own Background challenge at Simon Says Stamp. I was also inspired by the sketch at CAS(E) This Sketch - flipping the sketch to a landscape orientation. I created my own woodgrain background by scoring some white cardstock, then rubbing various distress inks over the panel. Once it was dry, I die-cut it with a stitched die and adhered it to a white card base. I glued some fun foam behind some gold foil cardstock and some Sno Cone cardstock then die-cut the sentiments. 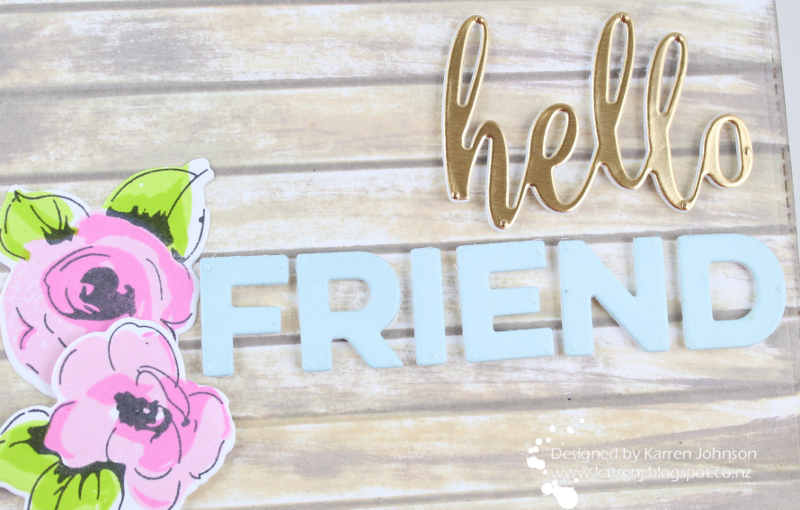 The flowers were stamped with Altenew inks and die-cut. The bottom flower was adhered directly to the woodgrain and the top flower was popped up on foam tape. Just lovely, Karren... no matter how you turn it, you've captured the Sketch beautifully! Beautiful take on the inspiration photo, Karren! Lovely card, Karren. The wooden background captures the inspiration beautifully, and the golden 'hello' is a great finishing touch! Beautiful! And your handmade background is gorgeous! 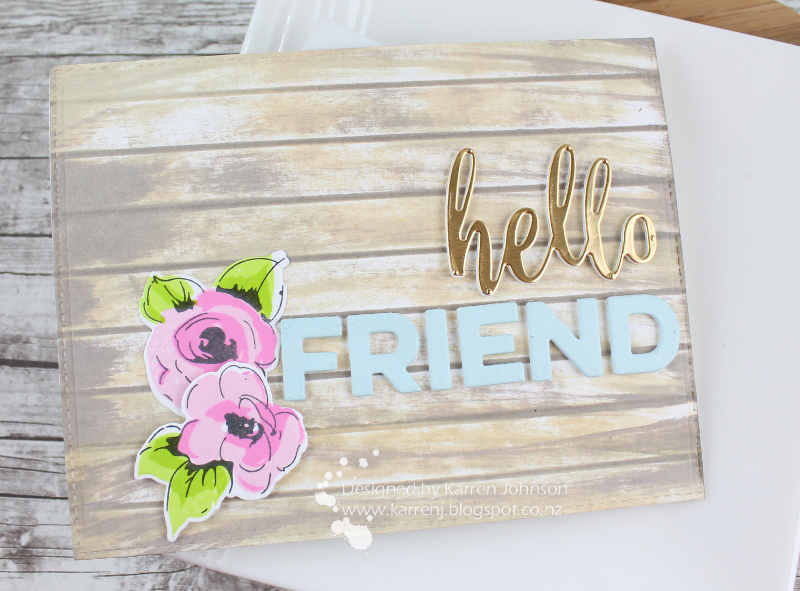 Gorgeous card Karren! I love the wood grain background you've created, it looks wonderful. Once again, you have done an amazing job combining challenges, Karren! Your woodgrain background is fabulous and your pretty pink blooms are perfect! Gorgeous card! Beautiful,and a total wow background! That BG is amazing! It looks like purchased patterned paper! 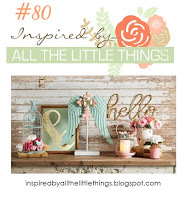 Thanks for playing along over at Inspired By All The Little Things!